Robotics and Artificial Intelligence (A.I.) are two fields of technology overflowing with a constant stream of innovation. With existing robots that mimic the exact biological specifications of a human being and intelligent personal assistants like Alexa, Siri, and Google’s Assistant improving constantly, the combination of humanoid robots and A.I. assistants is no longer sitting distant on the horizon. Looking to replace the cylindrical towers of the popular Amazon Echo and Google Home, robots like the LG Hub, Omate Yumi and Lynx give life to the vocal assistance of Amazon’s Alexa. Lynx, the most advanced bot of the three, is manufactured by the highly promising Chinese start-up Ubtech, a company currently working at the forefront of combining machine intelligence with consumer robotics. As well as the voice activated actions Alexa is capable of; playing music, reading weather forecasts and setting reminders, Lynx can customise responses to individuals using facial recognition, act as a sophisticated surveillance system, sing, dance and even teach yoga using its nimble robotic limbs. Standing at just 20 inches tall, Lynx doesn’t look like the intimidating face of A.I. that might eventually turn on us. What it does represent though is the advent of personified A.I. assistants that are available to the general public. The Amazon Echo and Google Home have both entered homes smoothly, and unlike Google Glass in 2015, haven’t suffered the demise that some futuristic concepts encounter. As we become slowly desensitised to an A.I. presence in the household, you can expect to see a variety of big companies competing to develop the number one intelligent assistant. Currently dominating the emerging market over the Google Home, the Amazon Echo has sold an estimated 15 million units since its release in 2014. The increasing sales of smart-home technology will only perpetuate the need for an intelligent personal assistant to act as central hub. Smart locks, lights, camera systems and thermostats can all be controlled by using their associated apps on a smartphone, but with the correct integration of a voice controlled A.I. assistant, a holistic solution can be created that when functioning correctly is like witnessing something from the realms of magic. Cross compatibly across smart products has developed a lot but there is still too much missing to make the transition to a complete smart-home worthwhile. When this does eventually happen it will be possible and affordable to do things like create ‘scenes’ in your home, where you will say things like “I need to relax”, and immediately the lights will dim, the air temperature will adjust and a specific playlist will emerge from speakers throughout the house. 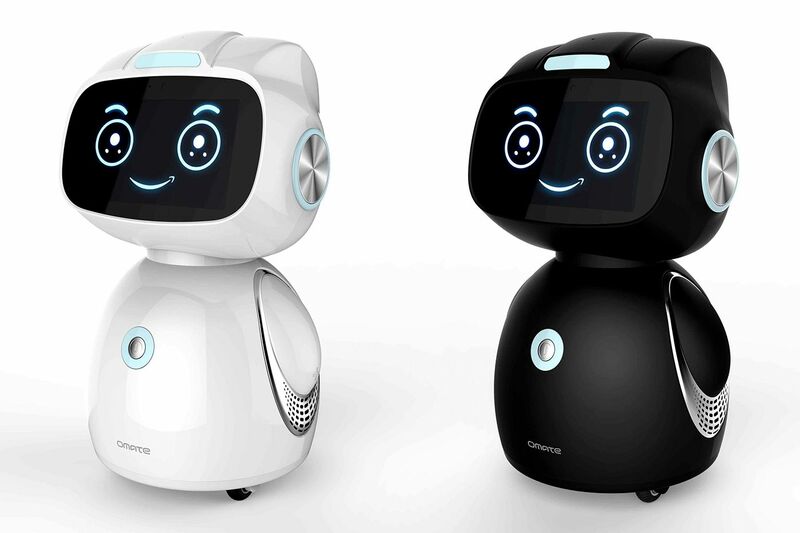 Whether it be static systems stationed in various rooms and linked via the internet, like we have today, or dynamic fully mobile bots that follow us around the house, it is easy to envision a variety of A.I. capable systems being tried and tested on the consumer market over the next few years. What we are witnessing now is the development of A.I. assistants out of static devices and into physically capable machines. And now we have welcomed A.I assistants into our homes, it’s hard to imagine a future that doesn’t utilise their capabilities in our everyday lives. The asking price for Lynx stands at $799.99, ten times the asking price for a second generation Amazon Echo ($79.99). This gap will gradually decrease over time as the components become cheaper and the technologies merge. In the mean time Alexa and other intelligent assistants will continue spread their consciousness into new unpredictable entities.